As wine drinkers we tend to approach Sauvignon Blanc with a certain list of expectations. 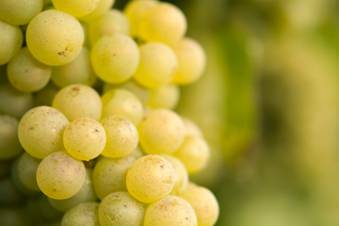 While maybe not as versatile as Chardonnay – the “Great White,” Sauvignon Blanc may surprise you with its varied styles. There are significant stylistic differences across four of the main growing regions – California (ex. Napa Valley); New Zealand (ex Marlborough); France’s Loire Valley (ex. Pouilly Fumé); France’s Bordeaux region (ex. Pessac-Léognan). 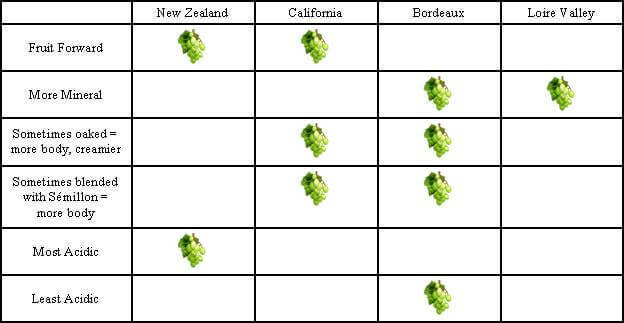 What do Sauvignon Blanc wines from these regions share in common? Ready to drink when they hit the shelves. All Sauvignon Blanc styles are refreshing enough to just enjoy well chilled in a glass. They also make nice pairings for salads, creamy sauces and cheese, vegetable dishes, shellfish, etc. But if you prefer more fruit, or more wood, or different levels of acidity, it can be useful to know what to expect before you select your bottle. Here is a handy dandy chart with the most common, “signature” styles– please note exceptions ALWAYS apply in the wine world – well almost always – you get the point. 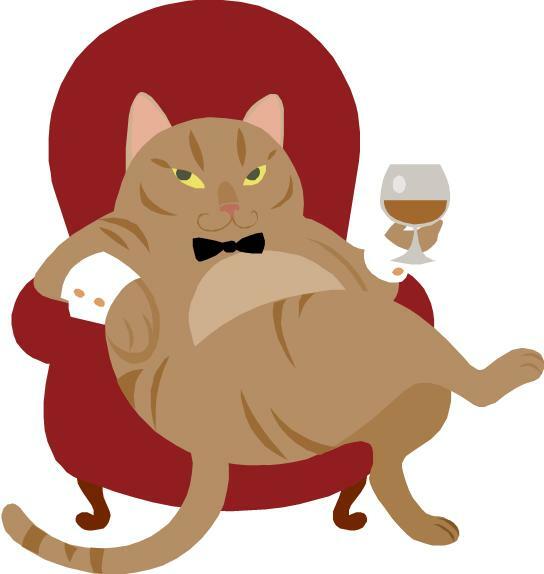 Many claim Sauvignon Blanc’s signature aroma is “cat’s pee on a tomato bush”. Others, with a better mind for marketing, say it is grapefruit. You decide – I think they are both right. Some of the most expensive, longest lived sweet wines in the world are made from Sauvignon Blanc, blended with Sémillon and Muscadelle, in France’s Sauterne region. Robert Mondavi made famous his once unpopular Sauvignon Blanc by calling it Fume Blanc. This is also a not so subtle link to the Loire Valley’s VERY different Pouilly Fumé.